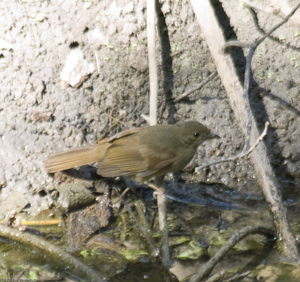 Familien bylbyler hører til i underordenen sangfugler, Passeri. 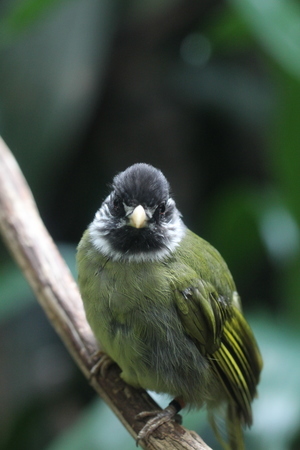 "Little Greenbul / Andropadus virens" by Tj.haslam via Flickr, Creative Commons Attribution ShareAlike. 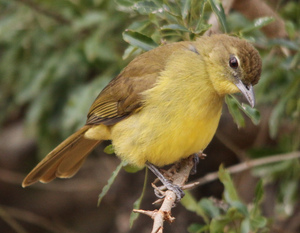 "Yellow-bellied Greenbul, Chlorocichla flaviventris" by Derek Keats via Flickr, Creative Commons Attribution ShareAlike. 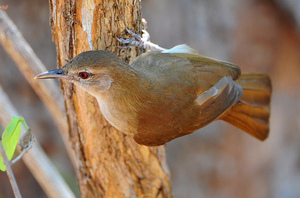 "Terrestrial Brownbul (Phyllastrephus terrestris) " by Ian.white1 via Flickr, Creative Commons Attribution-NoDerivs. 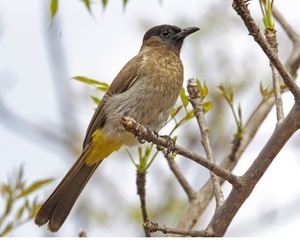 "Sooty headed bulbul (Pycnonotus aurigaster aurigaster )" by Lip Kee via Flickr, Creative Commons Attribution ShareAlike. 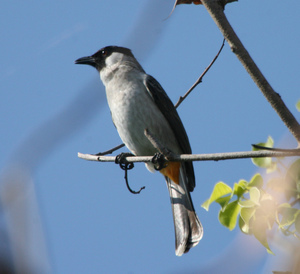 "Dark-capped Bulbul (Pycnonotus barbatus tricolor)" by Lip Kee via Flickr, Creative Commons Attribution ShareAlike.